LAFAYETTE, La. 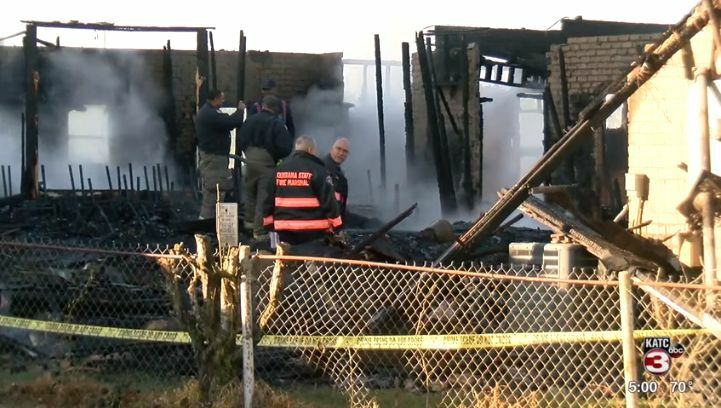 — The Federal Bureau of Investigations (FBI) and the Bureau of Alcohol, Tobacco, Firearms and Explosives (ATF) are assisting with a state investigation after three black churches were burned down in Louisiana within days of each other. The fires all occurred within St. Landry Parish, with the first being at St. Mary Baptist Church in Port Barre on March 26. Last Tuesday, April 2, the Greater Union Baptist Church in Opelousas went up in flames. On Thursday, Mount Pleasant Baptist Church was similarly destroyed by fire. Gov. John Bel Edwards has asked Browning and other officials to “aggressively investigate” the fires, and used his State of the State address on Monday to decry what appears to be an orchestrated attack. Browning’s office is seeking any tips and information from the public, which can be submitted anonymously at 800-256-5452. The churches involved state that while the fires have shocked and saddened them, the flames have not destroyed their spirit. Toussaint told his congregation on Sunday that the building may have been destroyed, but not the Church. “Our members here are faithful people. They’re committed to serving God. I believe that we can stick together and continue our worshiping of God. He’s going to bring us together and we’re going to start over again,” he said. A fourth fire occurred on March 31 at Vivian United Pentecostal Church in Caddo Parish. It is not believed that the fire is connected to the other three, but the incident was deemed to be arson.